DigiTimes is reporting that Intel will be releasing Kaby Lake processors in September 2016 instead of early 2016 due to the Skylake processor delays. From what we gather Intel will be launching Skylake desktop processors (Intel Core i7-6700K and Core i5-6600K) at an event during Gamescom Cologne which runs from August 6th to 9th. We also expect the Intel Z170 chipset to be announced along with the new processors as they have to have a new socket along with DDR4 memory support to work! 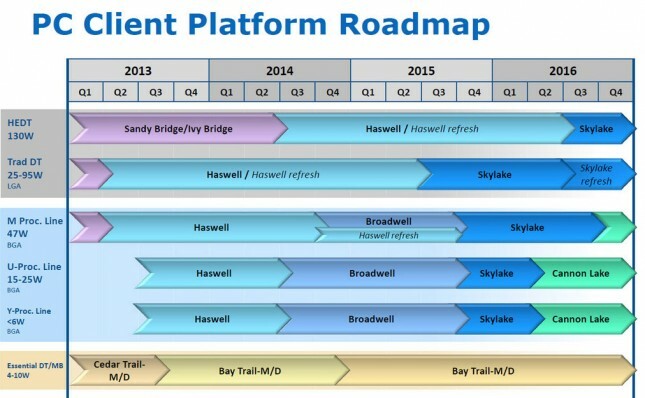 The wait for Intel 6th Generation Skylake-S processors will be over in less than a month! We have long known that Intel was planning a ‘Skylake Refresh’ that has always been on the roadmap between Skylake and Cannonlake, but it appears that refresh might be going by the code name Kaby lake now. DigiTimes noted that Cannonlake, Intel’s ‘tick’ in the tick-tock execution plan, has been delayed. Last month we read a story on TechSpot that claimed Cannonlake was on hold indefinitely. We don’t know much about Kaby Lake other than the fact that it’s a 14nm processor. 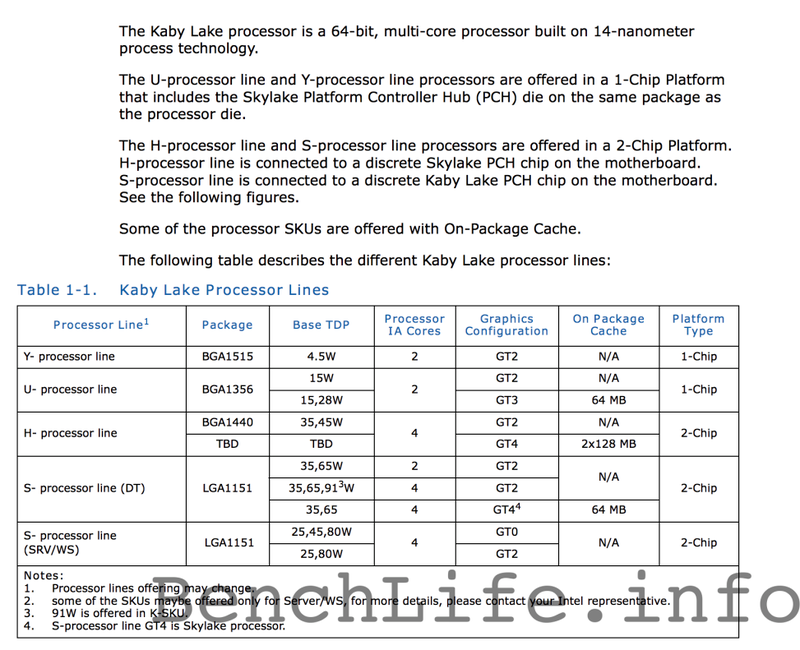 Another site called BenchLife leaked out an image of the Kaby Lake Processor lines last month that showed Kaby Lake Y, U, H and a pair of S lines will make up the Kaby Lake CPU offerings. 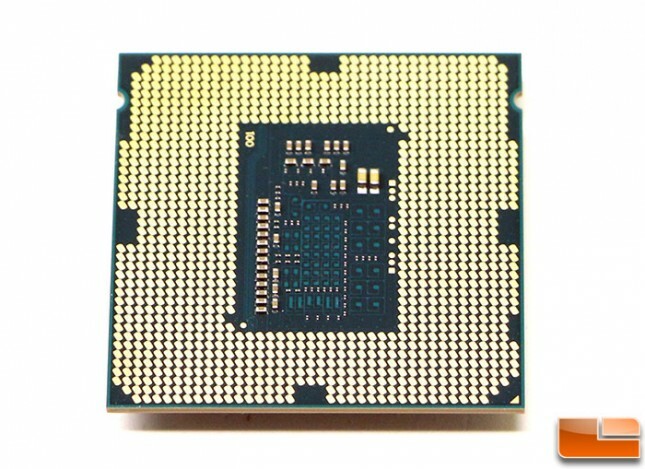 There are an assortment of BGA and LGA designs ranging from 4.5W dual-core parts all the way up to 91W quad-core parts. The document, if real, shows Intel will be using GT0, GT2, GT3 and GT4 graphics solutions on Kaby Lake. We thought eDRAM would be be coming on the Skylake ‘refresh’ and it appears that some processors SKUs will be offered with on-package cache. The slide above shows that there will be a socketed Kaby Lake-S quad-core processor with GT4e graphics for LGA1151 socket boards. Could the Kaby Lake be nothing more than a new name for the Skylake refresh?